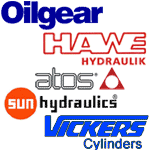 Our product lines by manufacturer page lists the hydraulic manufacturers that we represent; provides a brief description of their products and services; and provides a link for to their website. Learn more and access manufacturer links on our Products by Manufacturer page. The product lines by type page features an expandable/collapsible listing of product types and subtypes. Each subtype contains any relevant manufacturers that we represent and a brief description of the product range. See our Product Lines By Type page for more information. Advanced Fluid Systems now stocks select, remanufactured Eaton Vickers PVB axial piston pumps for immediate delivery. Each pump includes a 1 year warranty and free UPS Ground shipping at a price you can't beat. 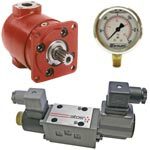 Check part numbers, pricing and stock on the Vickers PVB Pumps page for more information.